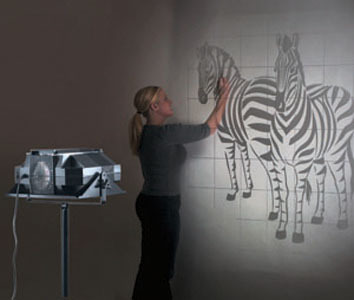 Artists, designers, and crafters will find the general-purpose Prism projector ideal for projecting all varieties of high contrast line art, patterns, and designs. 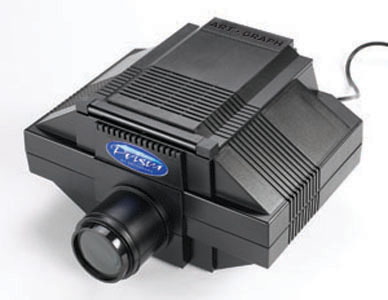 The Prism features an optically ground lens (200 mm) that both enlarges, up to 20 times, and reduces, down to 80%. An exclusive 7 x 7 glass top-loading area with removable cover accommodates most copy including books and 3-D objects. 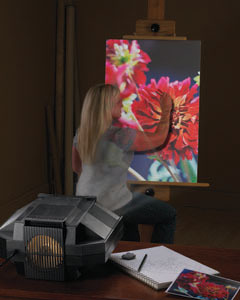 Illuminated by two 250-watt photo bulbs for a whiter and brighter image. Fan cooled and thermally protected to keep originals cooler and protected. 5-year warranty. Made in the U.S.A.